Warren Osborne is one of the great legends of knifemaking, his designs forever permeating the lives of custom and production knife collectors with his extensive number of collaborations with Benchmade. I’ve collected his Benchmade pieces for quite a while, and have just had the opportunity to pick up one of his custom pieces. 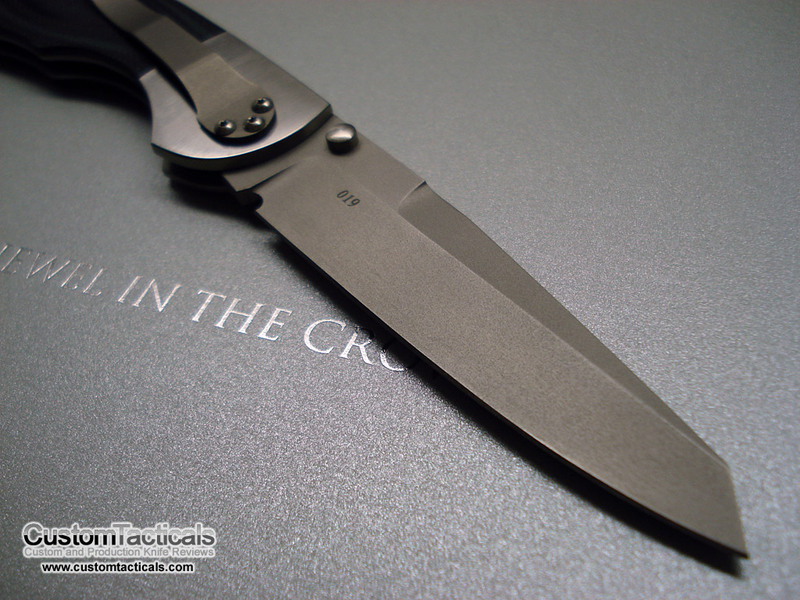 The Police folder shares the typical Warren Osborne styling cues with his soft flowing lines, thin handle profile and reverse tanto blade shape. Originally purchased by a collector in 2002 from the Colorado Custom Knife Gallery, the knife has now made its way to my hands. The knife shares the identical shape as the Benchmade 923 Switchback which Warren created along with the production team at Benchmade. 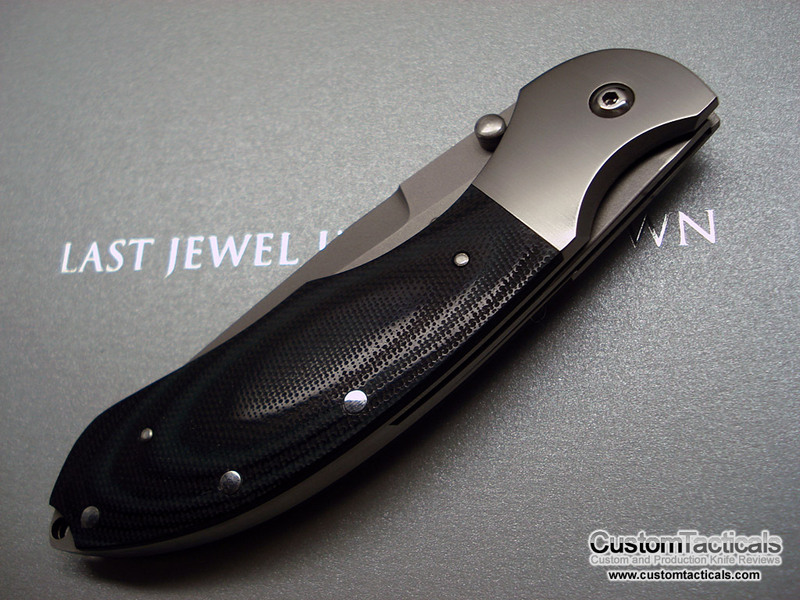 The custom police folder does have two major differences however: No rear slipjoint blade, and Top Lock instead of Axis Lock. This Police folder from Warren Osborne features brushed titanium bolsters and semi-polished Green and Black G-10 Scales. The construction interestingly is mostly pinned and now screwed together. This is Warren’s style, as he likes to keep things as smooth as possible, and is a very nice feature especially with his high-end interframe folders. The top lock locks up great, and resembles a Spyderco Compression lock, except on the other side of the knife. Warren starting using this lock before Spyderco did. The blade on this one is ATS-34, and bead blasted. Nicely ground with a very keen edge and super slim blade profile. It feels good in the hand and I really like how the knife is so thin, it almost disappears in the pocket. Nice blade. All the Osborne’s I’ve seen recently on dealer sites are more fancy art knives. You mentioned the term “interframe”, does that mean the knife doesn’t have separate liners and scales? I did a search but wasn’t able to get a clear answer. Thanks for the great knife reviews. 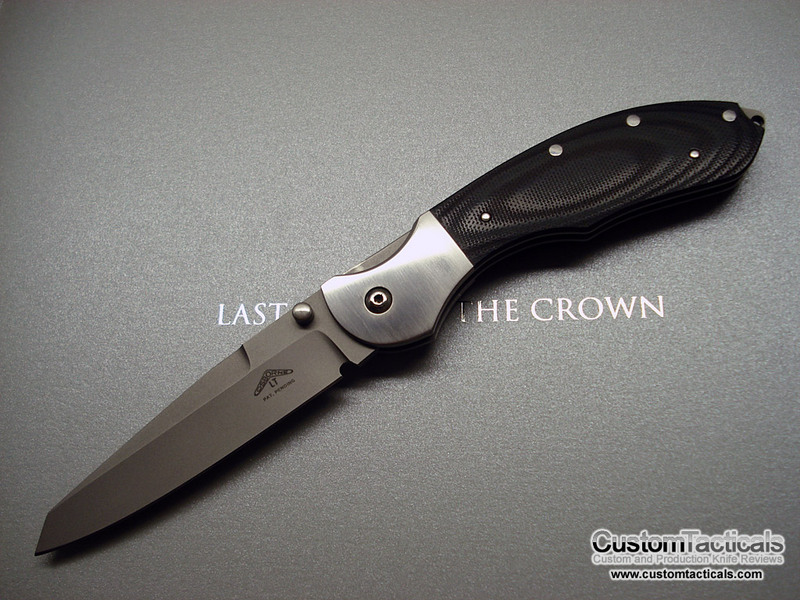 Wow, that is a fantastic looking knife. How much did you get it for? I got it in a trade, but I have since sold it. I believe I sold it for $700, if that helps.